The Poco F1 is easily the best smartphone to buy under Rs 20,000 price mark. The device comprises of flagship specs and runs on the latest Android OS. 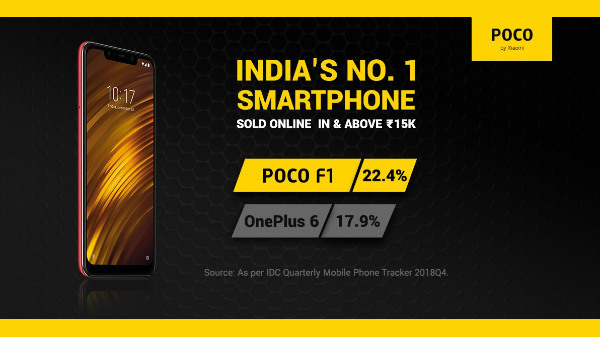 Now, according to IDC (International Data Corporation), Poco F1 has outsold the OnePlus 6 in the Q4 of 2018. According to IDC Quarterly Mobile Phone Tracker data, Xiaomi has conquered 22.4% sales in the segment above ₹15,000, whereas OnePlus 6 constitute for 17.9% sale in the above ₹15,000 price range. According to Manu Jain, the Poco F1 India's #1 Smartphone in the online smartphone market of ₹15k & above. Now it's settled! As per @IDC, #POCOF1 is India's #1 Smartphone in online smartphone market of ₹15k & above. The Champion of Speed doesn't settle for 2nd place. Nor should you! The Poco F1 comes with 6.18-inch FHD+ resolution IPS LCD screen, protected by Corning Gorilla Glass 3. The Qualcomm Snapdragon 845 SoC with 6/8 GB of RAM and 64/128/256 GB of internal storage with a microSD card slot for additional storage expansion. The smartphone has a polycarbonate design, and the smartphone is available in Black, Blue, and Red colors. The device has a dual SIM card slot (hybrid slot), which supports 4G LTE and VoLTE on both slots. The Poco F1 has a dual camera setup on the back with a 12 MP primary camera and a 5 MP depth camera. On the front, the device has a 20 MP selfie camera with support for 1080p video recording capability. 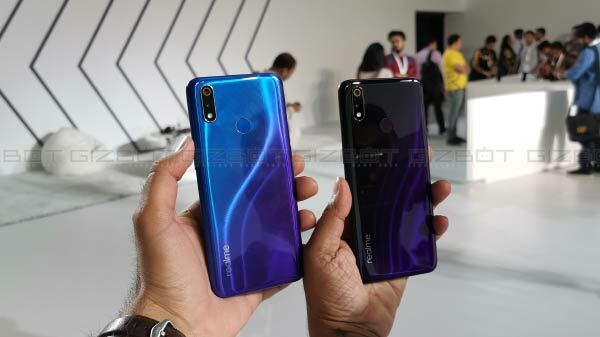 The Poco F1 comes with a liquid cooling system, which offers better thermal performance compared to other smartphones in this price range. 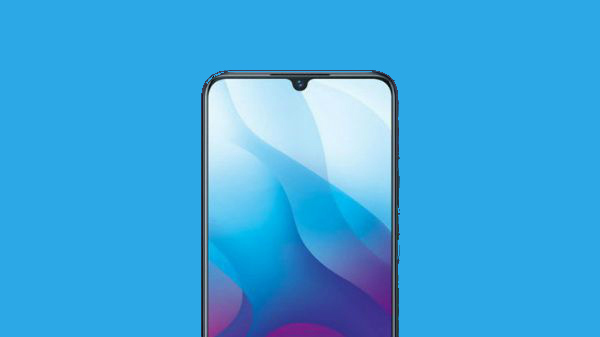 This is also one of the few smartphones, which supports Qualcomm Quick Charge 4+ via USB type C port with a dedicated 3.5mm headphone jack with a big 4000 mAh Li-ion sealed battery. As of now, the smartphone runs on Android 9 Pie with custom MIUI 10 skin on top. The Poco F1 is promised to receive Android 10 Q update with MIUI 11 in the near future.